If you're reading this, chances are you are a lover of yarn. If not, stop by sometime, let me introduce you and that will change quickly. I consider myself to be one of the luckiest people in the world. I have found my passion in life and have turned that passion into an occupation. Along the way I have met extrodinary people, learned a WHOLE LOT about what it takes to run a business and have fallen more deeply in love with my industry. 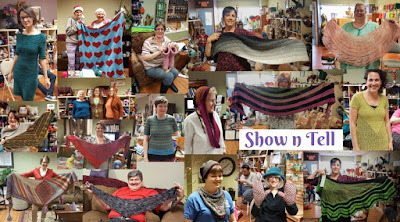 The people who handcraft with fiber are some of the most generous, kind and incredible people you will ever meet and I can't imagine my life without having met this amazing community in my little corner of the world. 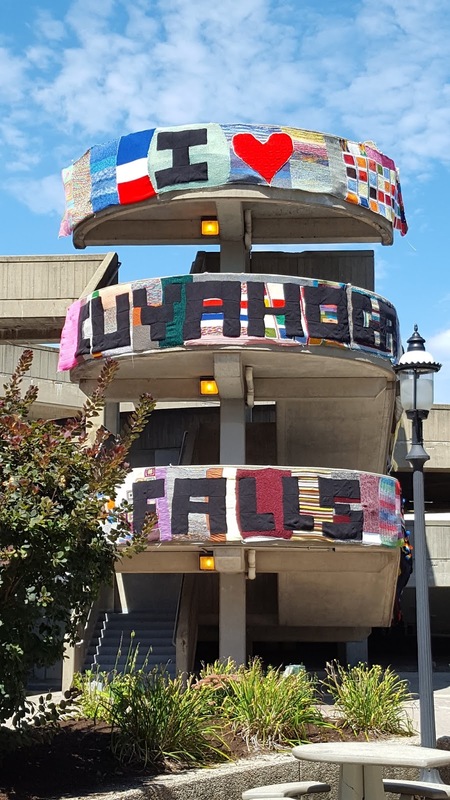 In the 3+ years that we have been in business we have yarn bombed a light post, a chair and an entire parking deck. We've shared our successes at monthly PJ Parties, cheered on local ball teams at summertime Stitch n Pitches and created amazing trees for the Holiday Tree Festival. Countless baby hats, chemo caps & warm clothing for those in need have passed through our shop. We've supported women in their march to make life a little better for one another and are currently working with an amazing fiber artist on an incredible crocheting project that celebrates strong, empowering women in US history. And what is the common thread that runs through each and every one of these life events? Yarn! We are all drawn together by our mutual love of fiber. The ability to take a string and a couple of sticks or a hook and perform magic. Something to wear, snuggle under, cuddle or pet. It's a huge part of our lives and we can't imagine life without it. I know I can't! I recently came across the '2017 Year End Report' by America's Knitting which is a directory of sorts for yarns shops in the US and they also do what they can to promote the uniqueness of shops with stories, information, photos, etc. The results of the report were disheartening and unfortunately, not surprising. On January 1, 2017 there were 1,034 yarn shops throughout the US. Fastforward to January 1, 2018 and the number has shrunk to just 970. That's a loss of 64 shops in 12 months. When they started keeping records back in 2007 there were 1,445 shops and the numbers have declined each year ever since. I know that just in Northeast Ohio, since I opened for business in August of 2014, there have been 8 closings! These numbers are staggering and terrifying. Are yarn shops on their way out? Will we soon all be making our yarn purchases from that big box store in the sky? What about personalized service? What about being able to feel the softness of the yarn prior to purchasing or having a place to hang out with your like-minded yarn enthusiasts? Is there no longer value in these things? When I opened I really felt that by offering classes and a place to go to for support would set me apart. That offering a community meeting space within my shop and excellent customer service would ensure that I would be around forever! 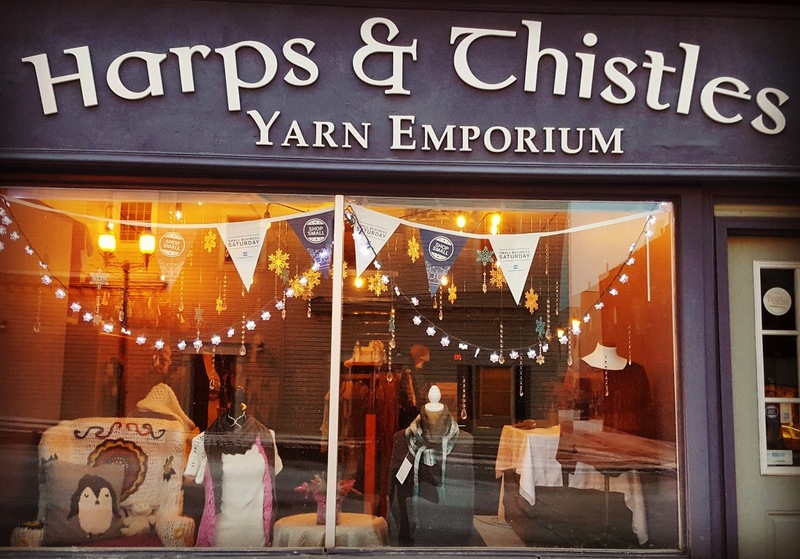 Yarn shops, and all small locally owned businesses for that matter, depend solely on the patronage of the community for their livelihood. To pay the rent, to restock their shelves, to pay their employees, to keep the lights on... we can't do it without our customers. Unlike big box stores, we miss you when you haven't been around for awhile. We worry about you when you're going through tough times and celebrate with you when you come in with exciting news to share. We really & truly care about you and are happy when you stop by, whether it's for inspiration for your next project or to pick up that extra skein to finish the one you're already working on. We want you to learn and grow in your chosen fiber craft and we provide instructors who encourage and applaud your success! So what can you do? Put down that mouse and get in your car and drive to your local yarn shop! You may find that the blue yarn you were looking at on the computer screen is actually teal. Make a purchase! Whatever it is that you were looking at online, you will most likely find it or something very similar at your LYS. And if not, chances are they will be happy to order it in for you. The money you spend there goes back into the local economy, not to some corporate headquarters in another state... or another country. You're appreciated and valued. We know your name and chances are, we also know the names of your kids, dogs and husband. So keep this in mind the next time you need yarn for a project. Take the time to go out and shop locally. You and your LYS owner will be so glad you did. Awwww... thanks Joann! You and all of our other Knitizens are what makes me happy to open our doors every day. You are all appreciated more than you will ever know! Our LYS in Summerville, SC just closed it's doors in December of this past year. We were all heartbroken. Emily, the owner, and the staff were wonderful. It was like a family. I will miss going and knitting on Wednesday afternoons for "Wooly Wednesdays". It was a kind of refuge. I'm so sorry to hear about your LYS Judy. It's sad to see any business close, especially one you consider a refuge where you can congregate and meet like-minded people. If you're ever in the area, please stop in and spend some time with us! When my "home" yarn store announced it's closing I had a moment of panic. What was I going to do? My few experiences ordering yarn on line were not happy experiences. I need to see and feel the yarn that I'm going to spend hours working with, let alone wear. Luckily for me I found a replacement home store. I'm sure many people are not that lucky to live in an area with choices. 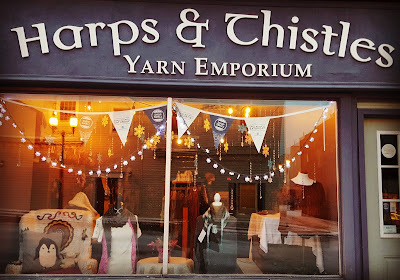 I am so blessed to have found Harps & Thistles; great yarn choices, special events and new knitting friends. I am a big proponent of spending my money at local business. I encourage others to spend there money locally too. We're so happy you found us Mardi! We enjoy your company and appreciate your business!!! It is disheartening when s yarn store closes. I love to touch and feel the yarn I will create clothing with. Part of the whole knitting and crochet experience. Hopefully if we create more and more crafters and teach them to use local shops, the closing trend will stop. We can only hope Christel! And promote!!! Good yarn stores are a community asset to be cherished. However, there are quite a few that should not be in business because of their attitudes and customer service. My favorite one retired last year. She had very sound business practices and catered for a range of pockets, except for the low brands usually found in the big box stores. She ran great classes and events and was always welcoming to everyone. My nearest choices now are snooty, and not very customer oriented. 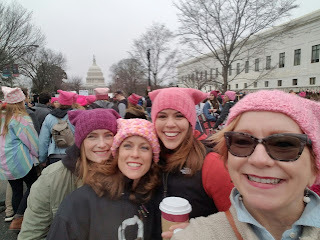 I bought $90.00 worth of beads from one, and happened to admire some gorgeous felted and beaded hats, and the two women owners could barely stop their chatting to attend to me and were very dismissive. Another one had a Christmas in August event, and my friend ordered some very expensive yarn only to find the dye lots didn't match, but the owner wouldn't do anything about it. Another one had a Chridstmas in July event 2 years ago. I ordered some yarn on the day. I'm an advances knitter, and they seemed a bit put out that I wasn't going to take any of their their classes. In January last year, I returned from a trip and found a message on my answering machine to say that my 5 balls of yarn had just come in.....6 months later! It was a common Berroco yarn. Needless to say, I didn't even bother answering. Another one purported to teach to beginners, sold $600.00 of Noro to an absolute beginner with an extraordinarily complicated pattern and $300.00 for a vest pattern and yarn. He helped her to begin this one, didn't even show her about gauge swatches, and consequently, the armholes in her vest were at her knees. He was a friend of hers as well. She was devastated. I reknit the vest in 4 days and the Noro is in a bag in my cupboard waiting for inspiration. I belong to various knitting social groups and because these store are local to us, I spend most of my time repairing the mistakes and explaining what they are supposed to have learned in their groups. I know the current climate for these little stores is very difficult, but they do have to work at respecting their customers and assessing what they need. People also need to take some responsibility in their social affairs. If you vote for one of the big box stores to move to your area, you are, in effect, sounding the death knell for a variety of unique small businesses. One of our lys will be closing on February 28, 2018. She has been in business for 15 years and says it's time for her. It is where I "officially" learned to knit after trying to teach myself for years. It is where my daughter and half of my GS troop learned to knit. As a crocheter and knitter, I didn't find much support for crochet but I did find fabulous yarns and interesting people. I made some new friends and reconnected with a few old and there is talk of forming another group at the local library. I'm so sorry to hear of your local shop closing and I hope you are able to form new fiber friendships in your new group. You didn't say where you're from, but if you're ever in the Akron, OH area, please stop in and see us! Local yarn stores are gems of creativity and positive energy. Yharma, you have my support and you know it; and although I may not sit down with the knit groups and knit, I do stop by, at least once a week --even for no reason at all other than just to eye the eye candy and make plans. Spread the good word, people. I know it's preaching to the coir but hey, we've got social media too and I think this can spread the word; let alone the live ad we can do when we wear our projects and tell our friends how we made them and where we got the materials and the inspiration. Keep the good Carma Yharma. We need you. HaHa! We'll blame it on autocorrect! Thanks for the kind words Angela. I'm truly blessed to have so many who support my business and appreciate that we're here! fabulous manifesto - put down that mouse! What a great essay on why we all to continue to support local businesses. You put it so well. I live in Jerusalem Israel and one of our last local yarn shops also closed last year - BUT - I have a brother who lives in Cleveland and now that I've learned about you and the existence of your yarn shop - I greatly look forward to coming to visit (and shop) on a future family visit!